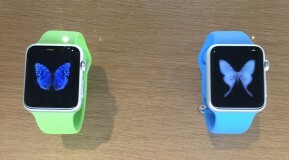 With the recent launch of the Apple watch, there’s never been a better time to engage in technology and look after your finances. 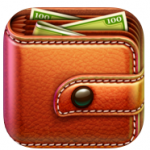 We’ve put together a few of the best Apps you can download to keep you financially savvy on the go! With a rating of over 4 out of 5, the Spending Tracker app is great for those who want to have instant control over their spending. The app is simple to use and best of all it’s free. Spending Tracker allows you to log your income and expenditure, view a summary of your spending, you can choose time periods to track your spending ie weekly, monthly or yearly, you can set budgets as well as run reports on your spending. A great all round app, great for any age. 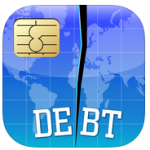 Although you have to pay for this particular app, this is a great one for those wanting to take control of their debts and watch their progress as outstanding balances are cleared. 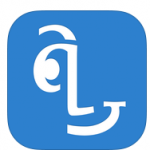 The app is user friendly and has great reviews (4.5/5). Simply enter the details of your debt and then update it each time you make a payment. The graphs demonstrate how much interest you save and you will visually see the balance coming down. There’s an option to pay in order of preference for example the highest interest debt first, the lowest balance first, highest balance first etc. Whether you’re a regular traveller or just off on holiday this fab little app does everything you need it to. 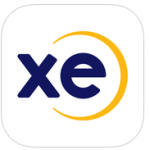 With a clear format this app lets users clearly track live currency exchange rates, personalise their settings, use it offline and is also compatible with the Apple watch. The reviews are also great at 4.5/5! If you’re not familiar with Quidco, they are a great organisation providing cashback, discount and voucher codes across a wide range of sectors. Over 4 million Brits are already signed up with Quidco and earn cash back and discounts whenever they shop. The app allows users to view nearby in-store cashback deals, activate exclusive and increased in-store cashback rates on the high street, redeem voucher codes and review your account activity on the go. Quidco was voted the UK’s number 1 cashback website in 2012, 2013 and 2014 at the Consumer Moneyfacts Awards. It’s a fun app that’s easy to use. Do you want to get yourself financially fit? Are you looking for financial advice? Simply get in touch using the form below and we will be in touch shortly.